A renaissance in forestry investment in recent years has largely been driven by increased returns that remain very strong, says Warwick Searle, a specialist forestry broker with Colliers International. Searle says a new wave of investors from predominantly from Europe, North America and Asia has been attracted by favourable government policies in New Zealand including an ongoing push for sustainability that has reinvigorated an interest in the sector. 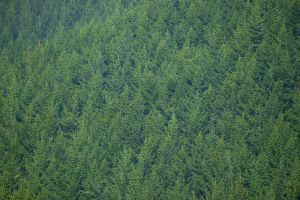 "Forestry has long been dominated by a core group of long-term wholesale investors and these players continue to be active. Some 70 per cent of New Zealand's productive forestry land is owned by less than 30 parties," he says. "What's changed is the entrance of a new wave of investors at a similar scale. We're seeing more big timber funds and private family companies looking at the market, many of which have not been active before." Searle says the new players are not only attracted by strong returns but the relative safety and low management costs the asset class offers. "Log prices have been undergoing steady growth in the past decade. Export prices have grown from $121 to $165 per cubic metre a decade ago, to $176 to $222 as of March this year." Searle says that with the government supporting continued investment in the sector, there is good reason to remain optimistic about forestry's fundamentals. "There has been a period of adjustment while the industry waited for certainty around the government's changes to the Overseas Investment Act. It's been tough in recent years, but I think government has been proactive in listening to industry, and we now have new Overseas Investment Office legislation going through Parliament that will help give overseas investors confidence in the sector”. "New government incentives, like the One Billion Trees planting programme, can only help bolster the sector. So, I anticipate that we will see more greenfield planting to achieve those government targets." Searle says a growing awareness of sustainability is also helping to bolster the forestry sector. He points to plans, both locally and internationally, for 'wooden skyscrapers' that are both ecologically and seismically beneficial. Sir Robert Jones is behind one such project for a 12-level wooden-framed office tower in Wellington. "What we are seeing globally is a push towards more environmentally sustainable products being used, and wood is certainly at the forefront of that. So, I think overall, it's looking very positive for the wood product sector."